FREE Easter Egg Hunt - Hop around Scene75 collecting eggs at each attraction! Hippidy, Hoppedy, Hippedy, Hoppedy! Along the Scene75 Bunny Trail we go! Stopping at each attraction collecting eggs, we can’t wait to crack them open and see what prizes they have inside! 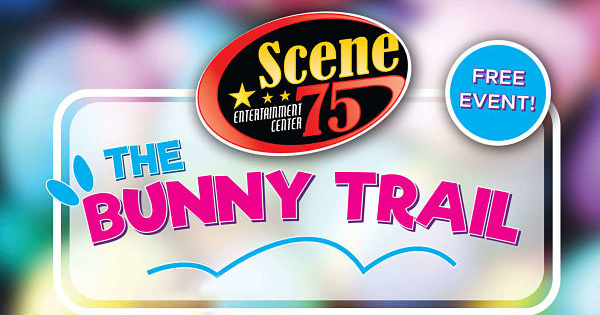 Find more events like "The Bunny Trail at Scene75!"